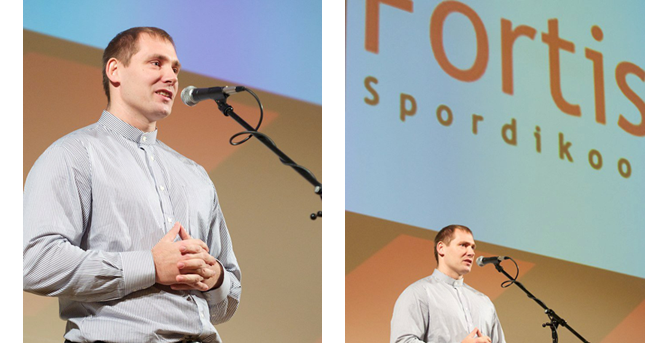 Sports School Fortis was originally founded in 2006 as sports club and got licensed in 2009 as private hobby school by the Estonian Ministry of Education and Research. Currently around 300 young athletes participate in school’s training groups guided by 6 experienced athletic coaches, all of whom have been assigned a coach qualification by the Estonian Olympic Committee. Our training groups are mainly located in Kadriorg and Kalev stadium, Lasnamäe and Tallinn athletics hall and Audentes sports centre. We also organize training camps for young athletes in Kurgjärve, Kloogaranna, Padise and Mäetaguse. Our most promising athletes use training centres in Portugal and Spain to prepare for their season.